The last 24 hours have been amazing. I thank every one of you that has commented, looked and asked me for a copy of my book. Especially those of you who want to own a copy. I am, as I say, overwhelmed. I am overflowing with gratitude. Gratitude for my friends, for the people around me who have and continue to support me, for the people who give me funny looks when I talk about Faeries and love me anyway (or even because of it). Gratitude for the excitement other people are sharing with me over this. It is a wonderful thing to build bridges of joy, and I can see them growing up with every digital connection we make. The worlds we build online are as real as those that we walk in, sleep in, love in. The worlds we can touch and feel and hear and see and smell, extend through our bodies, through the wires of the interconnecting-web, through our hearts and our words. We build worlds of love and joy, we weave the worlds of Fey closer with every choice made in love and in alignment with our hearts. I have seven people who have ordered one of the 13. 6 remain to find homes. Email me if you would like to be part of this adventure as it takes to the skies! And thank you. Thank you all very very much. Watch here for further posts keeping you updated and sharing the joy! With absolute pleasure I can now share that my book is completely and utterly finished! I’ve spent most of the past year working on it and now that it is done it feels like I am full of the softest clouds, all gently and unstoppably rising. I have had a copy printed for myself, and I am incredibly excited to see how it looks when it arrives! bones… tell me, is your heart Fey? And now it is time to let my book fly into the world… to take on a life of its own in other’s hands, and minds, and hearts. A book is a living thing, and a book on something as untamed as the Fey and our own deep hearts is liable to take on a life of its own. With that in mind, and in honour of the Faery Queen, who has guided my hands as I crafted this small fey creature, containing hopes and dreams, words from other worlds, the story of how the world became, glimpses of the Fey realms and the beginnings of a map to guide you into your own Fey-Heartedness, I will have printed 13 hardback copies which I will sign and number just for you. 13 special copies of this magical book… because I would like the people who give it a home to treasure it, and to treasure their own path. 13 special copies of this treasure trove. 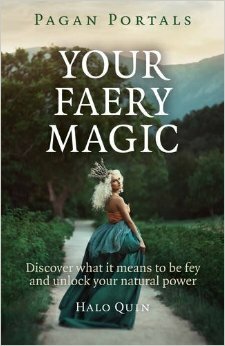 If you would like a signed, numbered, very, very limited edition hardback copy of this Fey book, please contact me. The high cost of printing means that I will only have them printed once I have payment for all 13 copies, and I ask, please, for £25 per book, which includes shipping the book to you. £25 is close to cost price for these books, so if you would like to sponsor this project and you can afford to give more for your copy, then by all means, please do. Each person who buys one of these thirteen will get a special mention in any further editions (though there will be no more hardcovers) and every person that can offer a little more will have an extra gift with their book, as a thank you for your support. 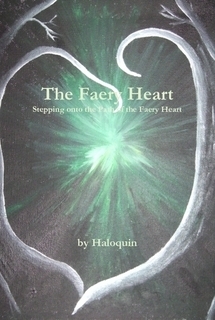 If you would like to preorder a limited edition, signed and numbered hardback copy of The Faery Heart please email me at: Haloquin (at) googlemail (dot) com. Once I have payment for 13 copies I will contact all those who have preordered one and let you know how long your Fey-Book will take to find its way into your loving arms! This is both the end of a long project, and the beginning of an adventure, thank you for being here with me! About this time last year I bought myself a copy of The Artist’s Way, almost on a whim. This is basically a book for “Blocked Creatives” based on the Twelve Step program, and I’m probably one of the least creatively blocked people I know. Or at least, thats how I see myself. But then again, don’t we all have things to learn! Morning Pages basically involve splurging your brain onto paper longhand, for three pages, and then not looking at it for at least a month. It lets you empty your head of worries, and helps you notice patterns. In my case it also highlighted my tendency to plan and allowed me to get the lists of plans out of my head before the day started. You end up with a clean slate for the day, and, if you do look at it again, a reflective bit of writing which can highlight patterns. And yes, they really are helpful. I managed to keep them up for the whole 3 months I was working through the book (only missing a few days sometimes) and almost 6 months after that. The best part for me was learning that I can keep up a daily practice, I can show up for something every day. Before this I hadn’t considered myself very well disciplined. Now I know I can be, if I choose to. The Artist’s Date, pretty much what it sounds like. Taking a few hours, or a whole weekend, out to go on a date with your inner artist. Find something that inspires you, nurtures your creative impulses, makes you feel happy and relaxed, and make time for it. Especially if its fun. I found this harder to do every week, but when I did it always lead to good things. For one I found a commercial art gallery… in which were paintings in the similar pure tube colours that I love to use! I saw this and felt a part of me verified: art with pure colours can be great! Since then I’ve noticed more of these… but that image has stayed with me and still makes me smile! For others I’ve set aside time to play with materials, or treated myself with water-soluble crayons (which are really really fun) and been inspired by the process of simply creating. Making time to be inspired, nourished and creative: very shiny. 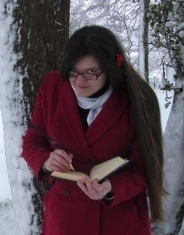 The rest of the book is divided into 12 chapters, each one designed to be read at the beginning of the week, and then mused on during that week. They all have exercises, suggestions, quotes and stories to help inspire and explain the concepts they talk about. For once, I started a self-led course and actually made it to the end. Each week I read the chapter and worked through most of the exercises. Each week highlighted something new, and built on what had come before. Each week was well explained, interesting and helpful. Over the full 12 weeks I explored my emotional situation, the state of my life, my past, my dreams, my beliefs… every element of life was covered. And I found myself guided in exploring what I really want my life to look like, and developing a plan for how to get there. I bought two roses, and they’ve lived, and flourished for a year despite my firm belief that I cannot keep plants! I’ve completed more projects than I’ve managed to before, including my Faery cards, and I’ve learnt about myself in more general ways too. The only complaint I’ve seen about this book is when people have objected to her use of the word ‘God’, but to me it felt like she explained it well, and left you the possibility of choosing your own way of understanding the term, or substituting it for something else if you prefer, including ‘Good Orderly Direction’. I didn’t have a problem with this myself, and it certainly didn’t feel preachy, but if you have a knee jerk reaction when you read the word ‘God’, then perhaps you might give the last couple of weeks a miss. All in all, an inspiring book which helps you to illuminate your life, and your own potential. Good even for people who don’t feel blocked!